The village is at to the bottom of the Gulf of Porto and accomodates the river of Porto, coming from the torrents of Lonca and Aïtone, which is flow into the sea after a race of 21 km, crossing one of the most wild sectors of the island. Probably built in second half of the 16th century, before the appearance of the round Genovese towers, the tower of Porto is one of the only square fortifications built on the littoral. 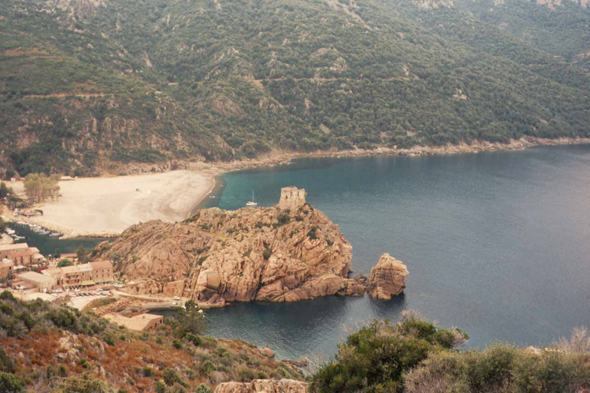 This characteristic, like its proximity compared to the city, make of it the most visited tower of Corsica.